Artisan brewery Hiver produce honey beer in collaboration with local beekeepers, in particular, urban beekeepers with swarms across London. 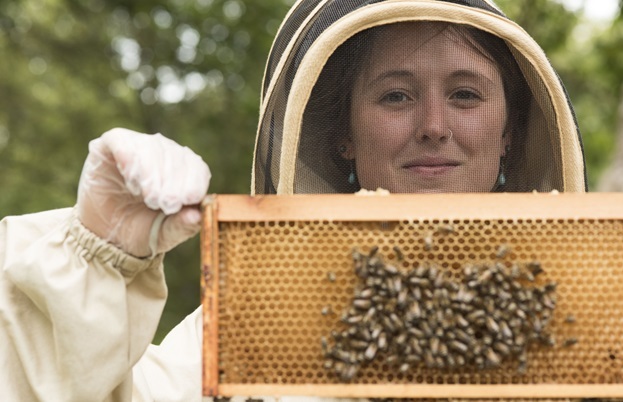 We talked to founder Hannah Rhodes about honey, hives and heady brews. We’ve seen craft beer have a renaissance, with micro-breweries popping up in city hotspots across the country. 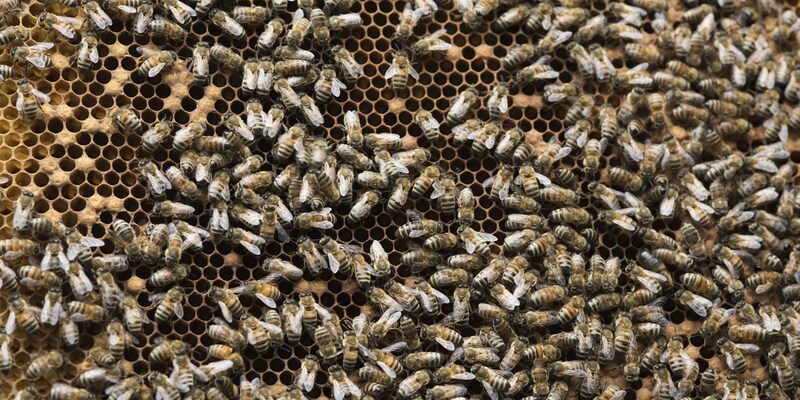 Now bees are having their turn, with hives also popping up in the most unexpected places. As ever, London’s right at the fore, and local company Hiver have decided to combine the two. 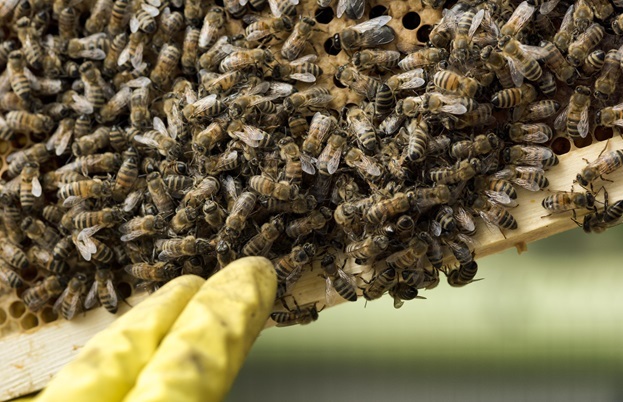 We took a hive tour in Kennington Park to see what the buzz was about. 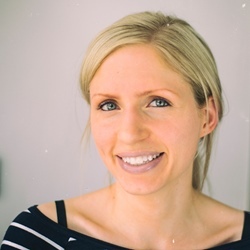 Hannah Rhodes is the founder and pioneer behind Hiver, a London-based company making honey beer in collaboration with a range of British beekeepers, including some on her doorstep in South London. With a decade of experience in brewing and the drinks industry, beekeeping and harvesting honey has been an interesting addition to her portfolio, and has led to the successful launch of Hiver, which now has two beers to its name - a blonde and a brown ale. ‘I found out about urban beekeeping through Urban Food Fortnight a couple of years ago, it seemed like this incredible product that was being made in really unusual scenarios’ which is something she could relate to her work with craft breweries. Having a love of different beers and styles, this naturally led to an interest in the ‘varietals of honey’ and she started researching honey beer as a style, one which she says ‘has a lovely tradition and story’. The initial brew took a lot of tastings and tweakings to get Hiver to where it is now, but the result is a beer made with both passion and accountability: using all British ingredients, supporting local producers and with a percentage of the profits donated to pollinator charities and urban space projects. The latter is crucial to Hannah, as the idea behind Hiver was largely inspired by the community feel she discovered with beekeeping. 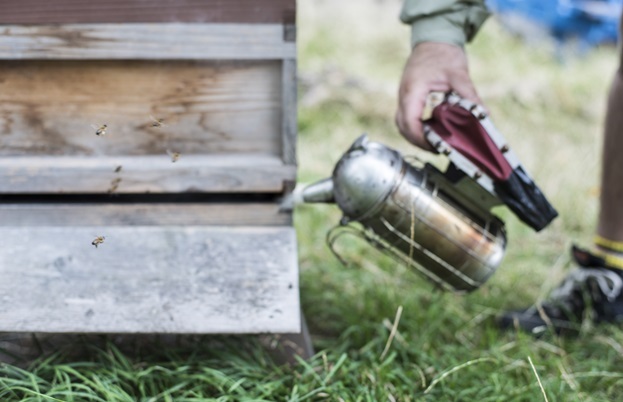 ‘They’re such a part of the local community and that was a real surprise to me when I first got into beekeeping… I think that’s something you lose sight of in London, you don’t know your neighbours, don’t know who lives across the road, it’s very anonymous, and there’s something about the local beekeeping scene that taps into the local community and brings people together’. This pride and passion is equally important in the resulting honey, ‘to have honey that’s from literally two streets down, and the bees have been feeding on the trees that are outside of your flat, that’s something quite incredible’. This in turn creates a unique flavour profile in every honey, which Hannah uses to add ‘unique flavours and aromas’ to the beers. ‘The joy of good quality honey is that you know the floral sources that the bees have been feeding on so, in London perhaps, it’s lime trees and acacia trees – the Victorians lined all the streets with lime trees in the urban areas, so that’s a really big source of food for bees in the city.’ This locality is key; ‘Bees feed in a three mile radius to the beehive, so the local floral sources directly impact the taste and flavour of the honey that you’re drawing from that hive. You’ve got a natural sugar that’s got taste, flavour and aroma that’s very distinctive from one to the next.’ She says of London honey in particular, the flavour profile is ‘light, citrusy, elderflower and menthol notes on the nose’, and due to this unique flavour, has won awards all over the world and is highly regarded by chefs, bakers, mixologists and enthusiasts. 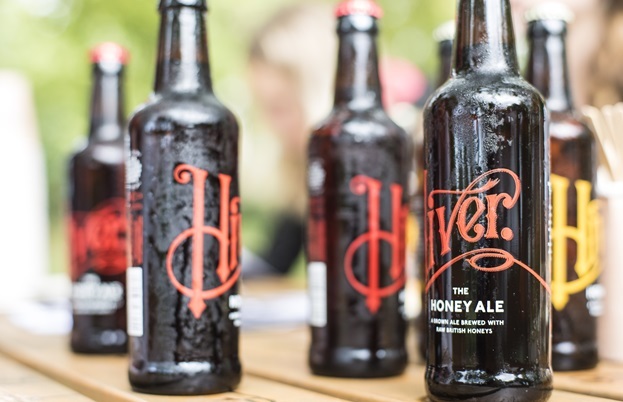 To preserve this, Hiver’s brewing uses only raw, unpasteurised honey as an ingredient in the fermentation process. ‘Trying raw honey for the first time is quite incredible, so much richer, so much more flavoursome’ Hannah claims. Pasteurisation is used to preserve the ingredient in a germ-free state for a long time, but honey naturally doesn’t ferment or go off so doesn’t benefit from pasteurisation, and the heat needed for this can kill off some of that distinct flavour and aroma. ‘Fermenting [the beer] with honey makes the yeast more active, and the fermentation is more consistent across the cereal base as the honey is eaten up by the yeasts and converted to alcohol with a depth of flavour and aroma that you wouldn’t have otherwise, it gives a very 3D flavour profile [to the beer]’. This seems to be proving popular, and the final beer is very dry without the bitter hoppy taste of some beers, and is therefore interesting to chefs and sommeliers as a match for foods. ‘The Blonde is great with sheeps’ cheeses, so manchego and pecorino – pecorino in particular, as it’s quite a salty cheese, and the honey notes accentuate the savoury of the cheese… also spicy bbq food, as the honey is quite good at quenching the heat’. This versatile taste seems to appeal to a wide audience, which has helped grow the profile of Hiver, but Hannah says she’s still ‘surprised how interested people were, and how loyal they became to the brand’. A lot of this must return to the ethos behind Hiver, with support for both London beekeepers, such as Bee Urban London, London Honey Company in Bermondsey and the London Beekeepers Association, (there’s even a hive on the roof of the National Theatre on the South Bank), as well as rural projects with Yorkshire heather honey and Warwickshire blossom honey. Hannah also thinks though, that ‘the public do have a real affection for bees as well, which is something we found in the early days when we were first trialling Hiver, if you talked about bees, people had quite a heartwarming story regarding bees, while they’re quite dismissive of wasps...’ It all boils down to the British love of the humble bumble bee (and of beer, of course).